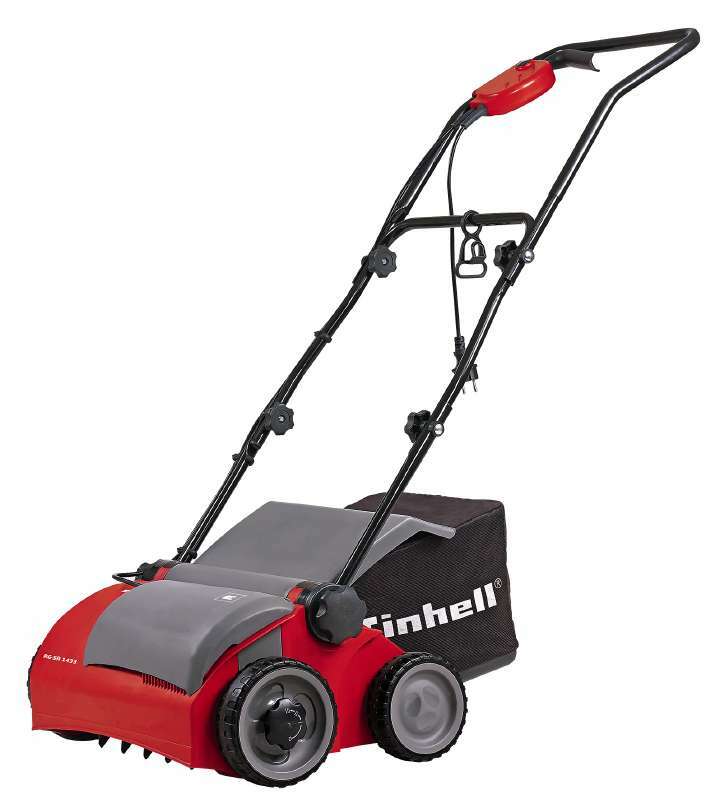 This highly durable petrol lawnmower from German manufacturers Einhell boasts quality features throughout and represents impressive value for money. The robust steel deck has a powder-coated paint finish for longevity; and the disengageable self-propelled drive to the rear-wheels saves on pushing. Powered by a reliable and quiet running 135cc engine with a contact-free ignition and automatic decompression for effortless pull-starts, the Einhell GH-PM 46/1 S is a straightforward petrol lawnmower that will get the job done with a minimum of fuss. To save time and effort, the height-of-cut can be adjusted to suit conditions by use of just a single lever; and the wide 46cm cut means you’ll be able to cover a mid- to large-sized area in quick-time. All hand-controls have been ergonomically designed for user friendliness and lightness of touch. The hard-wearing textile grass collection bin has a large volume (60 litres) for fewer stops to empty cuttings; and the roomy 1.3-litre petrol-tank will keep you going for longer without the need for re-fuelling. The grass-catcher is collapsible and along with the fold-down handles on the mower enables compact storage in your shed or garage. Offering a desirable combination of diesel power with high-end Swedish engineering and innovative design solutions, the superb Stiga Park 540 DPX will impress even the most experienced user of ride-on mowers.Thanks to its innovative articulated steering system, whereby the chassis pivots midway between the front and back-wheels, the Park 540 DPX excels when it comes to obstacle negotiation, and can be quickly repositioned at the end of each pass. In addition, because the rear-wheels follow precisely in the path of front-wheels, you’ll be able to keep your eye firmly on the cutting-path, rather than worrying about the back half of the machine tipping into flowerbeds or catching obstacles.The Stiga Park 540 DPX Ride-On Lawnmower employs an out-front deck design that firstly cuts the grass prior to the wheels running-over it, which will deliver a classier finish; and secondly gives you a clear view of the deck so you can mow with greater accuracy.Equipped with an infinitely-variable four-wheel hydrostatic drive, the Stiga Park 540 DPX will take challenging terrain in its stride and can be driven at a speed that’s most suitable for the grass-conditions you’re faced with. It has a split-differential and wide-profile tyres, so you can be confident you won’t cause turf-damage when turning on formal lawns; and it boasts hydraulically-assisted steering that works with the adjustable driver’s seat and ergonomically positioned controls (PTO clutch; deck lift) to ensure time-consuming jobs won’t prove overly tiring.Powering the Park 540 DPX is a 517cc Hatz 1B540V engine; a premium-grade single-cylinder diesel unit that features a forged-steel crankshaft and pressurised lubrication for superior longevity; and which boasts an electric key starter for stress-free ignition at each time of asking.Also featured is an hour-metre that will let you know when a service is coming-up; and a large-capacity 12-litre fuel-tank that increases productivity by reducing the number of refuelling stops. A wide combination of deck options are availble from 95cm to 125cm wide. Combining quality German engineering with all-round versatility and genuinely good value for money, the Einhell GH-PM 51SHW High Wheel Lawn Mower is the Best Buy in its class for this season! Exclusive to MowDIRECT, this power-driven petrol lawn mower has an extremely powerful yet quiet-running and economical 163cc engine and an extra-wide 51cm cutting-width making it ideal for anyone seeking to maintain large-sized lawn areas with minimum of effort and in the shortest possible time. It comes with a quality fabric grass catcher that will really pack the grass in; and the large-sized rear exit-point will allow you to collect grass-cuttings in both wet and dry conditions. The hard-top on the box is vented to increase air-flow and will also help to keep the dust down in drier conditions. 4-in-1 cutting enables you to switch to side-discharge mode for when tackling longer grass; or rear-discharge for when maintaining areas of rough grass such as that found in orchards and paddocks. There’s also a mulch function that can be used to give the appearance of having collected the grass, but without the time and hassle spent emptying grass-cuttings onto the compost heap. Mulching also enables you to ‘recycle’ cuttings so that the precious nutrients they contain are returned to your lawn, thereby helping to keep it green and lush. In addition, a specially designed lawn-comb at the front of the mower ensures a more even cut, giving a smarter appearance on lawn areas than a standard rotary lawnmower. The Einhell GH-PM 51SHW Self-Propelled Lawn Mower has a high-quality steel deck with powder-coated paint finish for added robustness and longevity. The wheels all run on ball-bearings and so won’t stiffen with age. The high wheels at the rear of the machine provide added stability on uneven terrain and enable greater manoeuvrability when turning. Comfort-features on this petrol lawn mower include a single-lever height-adjuster which enables you to quickly and easily set the cutting-height to the desired level. The handles also fold down for compact storage and can be adjusted to one of three settings to suit the height of the operator. In addition, the contact-free ignition and automatic de-compression on the engine make this mower particularly easy to start. All controls are within easy reach of the operator, including the power-drive; Operator Presence Control; and throttle lever. The starter rope is also within reach from the standing position for easier and more comfortable starting; while the soft-grip handles make for more comfortable operation and help keep you firmly in control. New and exclusive to MowDirect, this German engineered lawn mower from Einhell offers top-of-the-range features and added versatility at an extremely competitive price.It has a generous 46cm cutting-width and boasts 3-in-1 cutting-functions, including collection, mulching and rear-discharge, thereby making it ideal for maintaining both lawn and rough-grass areas on medium- to large-sized properties. It will cope equally well with wet or dry grass and has a powerful yet impressively clean-running OHV engine that’s really easy to start. Its six-stage height-of-cut is adjusted by a single lever with a large push-button handle that has been ergonomically designed for added comfort and ease of use; while its large-sized wheels provide added manoeuvrability and extra stability on less even ground and come mounted on ball-bearings for smooth motion, even over time. The handles have a soft-grip for enhanced operator comfort and control and can be adjusted to one of three positions to suit the height of the operator. The powder-coated steel deck on this mower gives it added robustness and ensures long-term durability. Other premium features include a front-mounted lawn-comb that enables a superior finish to be achieved by producing a more even cut; and a ‘grassbag full’ indicator that ensures more efficient mowing by eliminating the need to stop and check if the catcher is at capacity.As a special offer MowDIRECT is supplying this mower at a greatly reduced price, plus there is an extended 2 Year Guarantee from the manufacturer for added peace of mind. Extra-robust build-quality; superior flexibility-of-use; and impressive manoeuvrability are the hallmarks of this high-performance, commercial-grade rotary mower from American garden-machinery experts Toro.It’s been built to last, with its engine-guard, brush-guard and bull-nose front-bumper working to prevent impact-damage; and its sealed transmission, one-piece handlebar and ball-bearing mounted co-polymer wheels ensuring it will deal with the abuse that will inevitably meted-out by the professional gardener.Driving the Toro 22205TE is a FJ180 engine from Kawasaki. 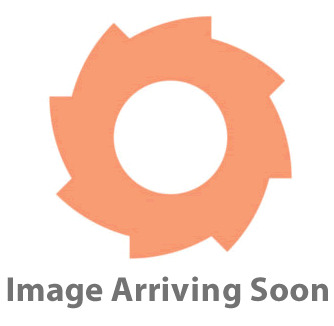 These high-specification 179cc four-stroke power-packs feature a dual-element air-filter and a cast-iron cylinder-lining for long-term reliability; and employ overhead-valve technology for a substantial cut in emissions, fuel-costs and vibration. A very large-capacity 3.8-litre tank means stops for refuelling will be few and far between; while automatic compression-release makes pull-starts virtually effort-free.Stopping and restarting the engine every time you want to empty the bag, move an obstacle, or cross a non-grass area can be time-consuming and exposes key components to undue wear and tear. Toro have got around this problem by furnishing the 22205TE with their Blade Stop System, whereby you can halt the blades without cutting the engine.This impressive machine comes with a cavernous 88-litre catcher and has one of the widest cuts of any walk-behind mower ever produced (76cm); a combination that ensures it will cover the very largest lawns with speed and efficiency.As well as bagging, the Toro 22205TE TurfMaster Twin-Cut Lawn Mower also offers mulching and side-discharge modes, so it can be set-up to perform effectively in any given conditions (a wide height-of-cut range and variable-speed power-drive contribute further to versatility). This high-performance electric scarifier from Germany-based manufacturers Einhell comes with two quick-change cassettes – the first comprises 20 steel blades that will gently but thoroughly pull-out any growth-inhibiting moss and rhizome accumulation; the second is equipped with 48 claws that will open-up the turf so as to better enable water and air to penetrate the root-system, which in turn will promote vigorous, healthy growth.Built to last, the Einhell RG-SA 1433 Electric Scarifier boasts a high-quality impact- and rust-resistant plastic housing, and benefits from a ball-bearing mounted drive-shaft.Its three-stage depth adjustment means you’ll have no trouble managing different soil- and vegetation types; while its large wheels provide the requisite amount of traction without damaging delicate lawn-surfaces.The Einhell RG-SA 1433 is fitted with a handlebar that’s both adjustable and foldable, so it can be adapted to suit gardeners of any height; and it won’t take up much space in the shed or car-boot (a wall-bracket is also featured).Power comes from a high-torque 1400w series-wound motor.This model’s 33cm working-width and 28-litre debris-catcher make it ideal for lawns around 400m2. 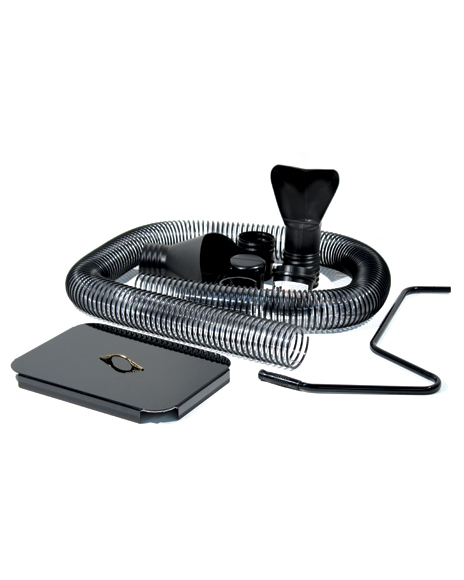 Add versatility to you Earthquake Chipper-Shredder with a vacuum hose-kit to tidy up leaves and other garden debris from lawns, flowerbeds, patios, drives and hard to reach places! The Earthquake Chipper-Shredder will reduce the volume of waste collected by the hose-kit by up to 20:1 for easy disposal. Enjoy the very best in U.S. design and engineering with this impressively well-equipped petrol rotary-mower from Toro.What really marks it out from its competitors is its massive 76cm width-of-cut; the same as that found on mid-sized ride-on mowers. This, along with Toro’s provision of a cavernous 88-litre grassbag, ensures the super-fast coverage of paddocks and expansive lawns. 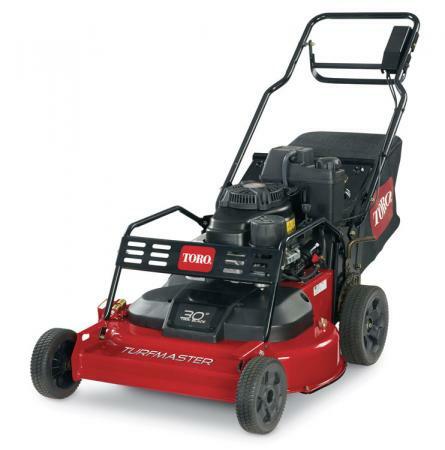 The Toro 20977 TimeMaster comes driven by a 190cc Briggs & Stratton 875-Series electric-start engine that employs B & S’s overhead-valve technology for cooler, cleaner and more fuel-efficient operation; and which boasts a commercial-duty debris-management system for season after season of unfailing reliability.A Lo-Tone muffler makes for a more pleasant working-environment; while ReadyStart® means there’s no need to prime the carburettor or apply choke prior to ignition.Thanks to Toro’s AutoMatic Drive System (ADS), whereby the mower automatically matches your walking-speed, the 20977 TimeMaster is highly manoeuvrable and won’t run away from you when you’re mowing around trees, ornaments and other garden obstacles.It has a blade-break clutch, so you won’t have to cut the engine when emptying the catcher, or when crossing gravel or hard surfaces; and it combines an aluminium frame with a hybrid-steel chassis so as to ensure superior durability.A three-in-one machine offering mulching, side-discharge and bagging as standard, the Toro 20977 TimeMaster Twin Cut Lawn Mower can be set-up to suit whatever conditions you might be confronted with.A hosepipe link on the cutter-deck means you can clean the underside of the mower without having to flip it over; while a Quick Stow handlebar makes it easy to prepare for transport or storage. Equipped with a very high-powered 190cc Briggs & Stratton Quantum engine, the Rover 861M107 Self-Propelled Petrol Rotary Lawn Mower will cope easily with the toughest grass-conditions. The engine’s overhead-valve design brings improved fuel-efficiency, superior reliability and a longer service-life. Swing-back blades will absorb any accidental impact should they hit something solid, in turn protecting both the engine and the crankshaft Combining a 50cm width-of-cut and a power-drive, the Rover 861M107 will enable you to cover a large area quickly and with minimal effort expended. Its heavy-duty cutter deck is made from strong and hardwearing alloy (it has a 15-year domestic-use warranty); and has a deep dome that works with the Hi-Lift blades and wide discharge-chute to ensure highly efficient, blockage-free grass-collection. A 58-litre collector and a mulch-plug are both included. Operator comfort is important when taking-on the sort of large-scale applications for which this mower has been designed, so Rover have incorporated an ergonomic, upswept handlebar which can be height-adjusted to your preferred working-position (the handlebar can be quickly folded to save space in the shed). The Rover 861M107 also features an adjustable height-of-cut, which can be set to any of 12 positions between 13 and 60mm to suit conditions.